Homeless Diversion works to prevent individuals and families from becoming homeless through mediation and conflict resolution, assistance with housing search and placement, and information and referral services. Who is Eligible for Homeless Diversion? Homeless Diversion assists those who are on the edge of becoming homeless but are not currently or chronically homeless as defined by federal rules. 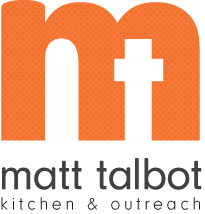 If you answer "YES" to all of these questions, you are eligible for the Homeless Diversion Program at Matt Talbot. Are you homeless or do you believe you will become homeless in the next 72 hours? Have you currently been in a shelter, on the streets or out of your home for 7 days or less? In the previous 12 months, have you been homeless for less then 10 nights (this includes in a shelter, on the streets or out of your home)? For more information please contact Amanda Owen-Doerr at 402-477-4116 or amanda.owen-doerr@mtko.org.